I visited this community a couple of weeks ago. They are undergoing a major renovation They just added new flooring and lighting in the hall ways. I immediately got great feeling when i walked in the door and I was greeted by the front desk receptionist. Some communities i visited were very cold and i had to mention i was looking for a place for my mom before they actually acted nice to me. The Executive Director greeted me and gave me a tour. The views from this community are amazing. My mom loves to sit out in the sun and read her newspaper and have coffee and she would LOVE THESE VIEWS. They seemed very knowledgeable about alzhiemer's and assisted living care. The ED said she was nurse and said they had 24 hour nursing which was very interesting. She also said that they are opening a secure unit for alzheimer's patients in April. I am looking forward to seeing the finishing touches in the next couple of weeks. I was invited back for another visit when the remodel is done in February. The best way to get to know a community is by scheduling a tour. 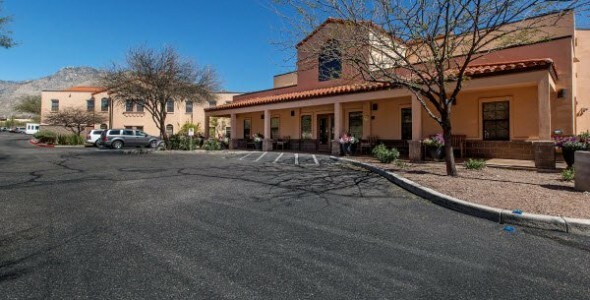 See the facilities, meet the staff and residents, and get a feel first hand what it's like to live at Tucson Place Assisted Living. The operator of Tucson Place has not updated this profile page.